The Ace responsive admin template has a dashboard which displays the overview and stats of all the bootstrap orders, experiments, how much traffic is used on this page, how many page views for this page, list of new followers and any comments and reviews. The traffic usage is shown on the website as a pie chart with various colors representing various traffic sources. Various traffic sources can be social networks, search engines, ad campaigns, direct traffic and other. 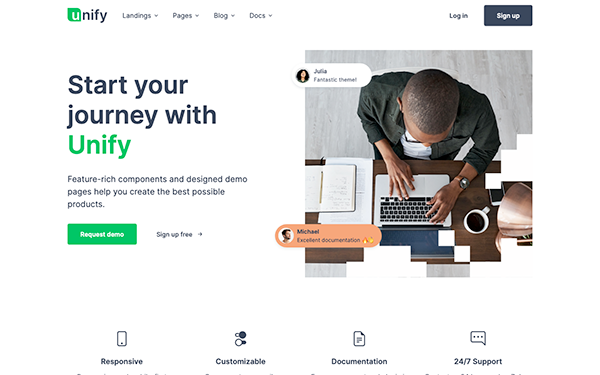 This is one of the bootstrap themes which also have the task completion percentage, earnings details and also the detail of the number of downloads happened. The sale statistics are also shown across the domains. On the left hand side of the theme, lot of listings under Typography, UI Elements, Tables, Forms, Widgets, Calendar, Gallery and more pages are incorporated on the website which is for better navigation through various sections. If any version upgrades are happening, those can be intimated by being a member in market place. There is a link to subscribe to the web feeds and to follow them on twitter. If any new versions are released, the details of the upgraded versions are also displayed on the website. Base for this is Bootstrap3. This can be loaded on the phone also. The attributes of the item including bootstrap version, number of columns, layouts, browsers compatible, categories under which this theme is working and when it is updated and actually when it is released are also displayed on the right side panel through which a person can easily outline about a bootstrap theme. To purchase the theme, a PayPal account is required. An amount of 18 dollars is required to buy this theme which is very affordable. The total number of purchases till date is also shown on the website. Prices depending on the application type are also given on the website, whether it is a single or multiple or extended application. The main theme used for business purposes is the Clean Canvas theme. It is identified with 99 number in the list of themes. To showcase all the works done by the developer beautifully, this theme is the best. Compared to many other themes, this theme is very much affordable which comes in 12 dollars. When version bootstrap is installed, this theme also comes under it. Same with version Bootstrap 2.3. There should be some front end themes to support the backend detail themes. This theme is such a front end theme which is very excellent. Any developer’s dream theme to show their tasks in an adorable way is this Clean Canvas Bootstrap theme. In which version is this theme initialized, in which version what features are added and currently what are the features available in the existing theme, all these important information are included on the website. A user can sign up as a new user by using the option Sign up on the top of the theme. After signing up, he/she can login to the theme using their login credentials through Sign in option on the top of the page. For any more details or information, one can use the Contact us information to get the contact details of the concerned person and know about it more. When clicked on the theme, the services provided are displayed. This preview can also be seen on the Live preview button available on the website. Blogs are written about the theme and all the blogs are also there on the website by going through which one can understand the pros and cons of the theme. Details about the pricing are also available on the theme page. If any user want to write a testimonial or want to post something, they can do it with the options available. Testimonials and posts written by a user who used the theme gives maximum information of how they felt while using the theme. A responsive theme which is better used for business purpose is the Detail Admin Bootstrap theme. The identification number is 52 on the list. It mainly focuses on showcasing the admin related stuff in a very detailed manner. This helps to get a clear idea of how business is going on and also the areas of improvement to perform better. When clicked on the theme, Total number of sales in the last one month, Total number of orders per week, Total number of visits per day and total number of users for the past six months are displayed. A products table is also displayed which has all the available products on this theme displayed. The status of the product is also given. If it active, shown as active and if it is standby mode, shown as standby. 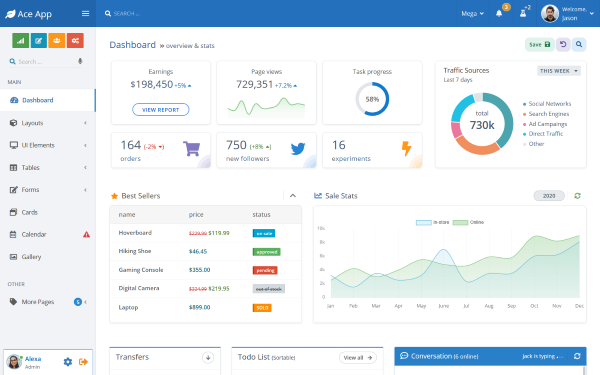 Once you buy the Detail Admin theme under the Bootstrap themes available at 18 dollars, if a new product has to be added, it can also be added and it will be displayed in the products table. 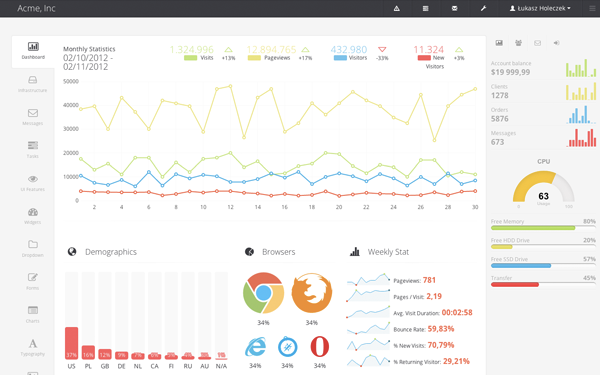 On the left hand side of the theme page, an option called Charts is available. The sale of devices, growth of the sales every month and other related information is shown in charts to get a better view of how sales are going on year and year. The users who are using this theme can also be tracked under User list option under Users option in the left hand side panel of the theme page 1. A form is also available for a new user so that he can enter the required details and can use the theme. All the details entered by the user like user name, user address, user phone number etc are stored under User Profile tab and when clicked on it their information along with the details of the order they placed will be shown. 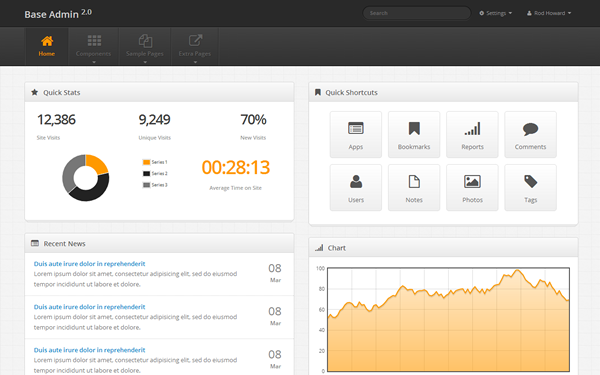 A best responsive admin template available at number 42 under bootstrap themes is ACME. All features which are desirable are present with this template. Several page layouts as an example are directly available. 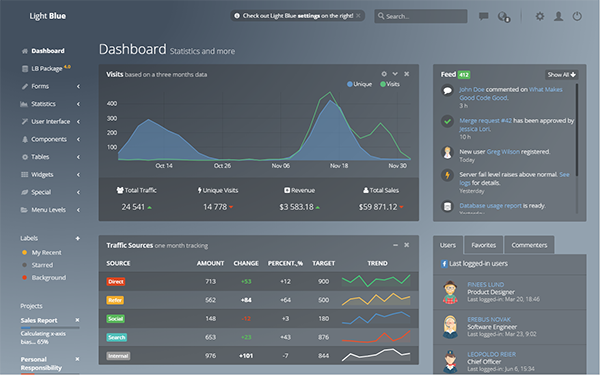 If you want to have a dashboard layout, you can get it. Similarly if a user wants Inbox layout, Task manager layout or Server statistics layout, all the layouts are readily available which reduces lot of time to the developer. Base is Bootstrap 3 version. Can use this template on any web browser like Internet Explorer, Google Chrome or Firefox etc. A user can have this template in hand also by having it on his/her mobile phone or tablet whatever. It is very friendly template that it goes along with many electronic devices. As the icons for resolution provided are over 500, the look and feel of the template is awesome and the fonts used on the template are also very effectively displayed. The features which can be mainly discussed are the 3D buttons, retina display, charts that are integrated with Facebook users etc. The best pricing is offered by the website to buy this template for 15 dollars. When clicked on the theme, statistics of number of visits, number of page views, number of visitors and number of new visitor information is shown graphically. These statistics are gathered for a month. Compared to the previous month if any of the statistic has gone down, it is also shown symbolically with a negative symbol and a downward triangle symbol. 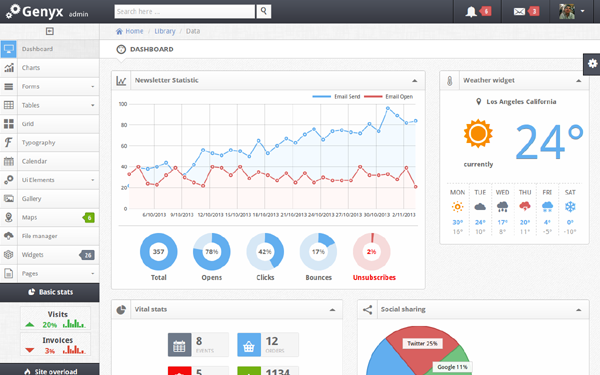 All these statistics are shown under dashboard page of the template. There are other pages on the template which are UI features to modify the user interface if required, pages for example, Forms, various types of charts, Typography, tables etc. These pages on the left hand side o f the template makes the navigation much comfortable for any user. These days’ business themes are also expected with more flexibility, with more user friendly options and more style. For such a template, a user can select the most flexible and which is the most responsive theme named Grove. Listed at 4 in the list of themes available on the website, this theme is the best for business usage. 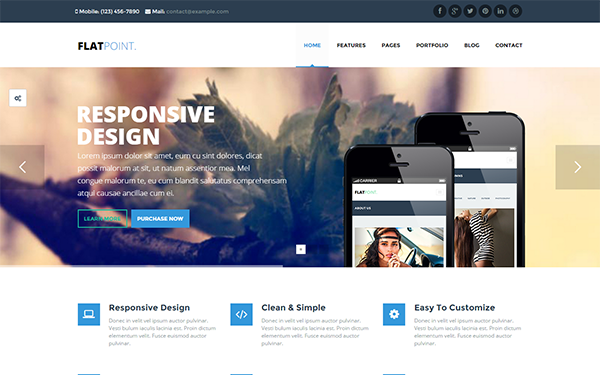 The layout of the theme is very much responsive and its wonderful design along with the code that is clean made this theme one of the best themes available. As this is based on twitter bootstrap, more of a professional kind available for all the users at a very less price of 4$. A theme that can be installed on mobile or if a user is using a tablet, even this can be installed on tablet too. For a layman who does not know how to use Grove, a document is available along with the purchase which gives you all the information required to use Grove. Generally it is difficult to change the schemes of the colors of the themes. But, a developer or a user can easily customize Grove by making the changes required for variables under LESS. When clicked on the bootstrap theme Grove, a preview of Grove is displayed showing what features are available with this template. In recent version update, two new page layouts administering Frequently Asked Questions and Tables for Comparison are included which is displayed on the website that sells Grove and also on the Grove template page. The theme is very fast and can be configured very easily. The list of pages available with Grove can be seen by clicking on the Pages option available on top of the website. Some of the available pages to be listed are Page containing the features, Comparison page to compare the products, Tables to show the pricing of the products, Details of the blogs, Details of the Portfolios, User sign in options and lots more. Want to have the best responsive template to display admin information? Then check for 42 numbered template on the website. Desired features for any developer or user are built within this template. A user can save lots of time by using the readily available example pages for their use. Want o have a layout for your dashboard? It’s available with the theme. Want to have a layout for Inbox ready? Get it from the template. No need to build layouts separately for some areas like Task manager and Server statistics as they are present in the theme. Version under which this theme is created is Bootstrap 3.0.0. The theme is designed so effectively that the compatibility with all the browsers is a beautiful option. When a user is not carrying his laptop or not in front of his/her PC and only carrying a mobile and want to use this template, it’s very easy as this template goes well along on mobile devices also. The look and feel of the template is designed in an excellent manner by using icons which are of very high resolution. As a result of this resolution, the face of font is also very effectively visible thereby encouraging the users to use the theme more and more. The better the look and feel and the comfortable the bootstarp3 theme usage, in turn the more will be the usage. Many excellent features are provided with this template which can be found on the website. Just 15$ in your PayPal is enough to buy this template and use it efficiently. Going into the theme by clicking on live preview option, a user can see the graphical representation of many statistics as charts. The main purpose of any statistic displayed through charts is to get an understanding of the business in a glance without going deep into the details. So, by looking at these charts, a business person can easily know about his/her sales, an increase or decrease in the business and can act accordingly. As dashboard should hold all these information at high level, the template is provided with a dashboard page where all this information is displayed. A wonderful template which can be used for several purposes is named PIXMA and it is listed at 7th position on the website. The main purpose of this template is to design excellent websites for the company’s customers. Company is the company which uses this template for their purpose. 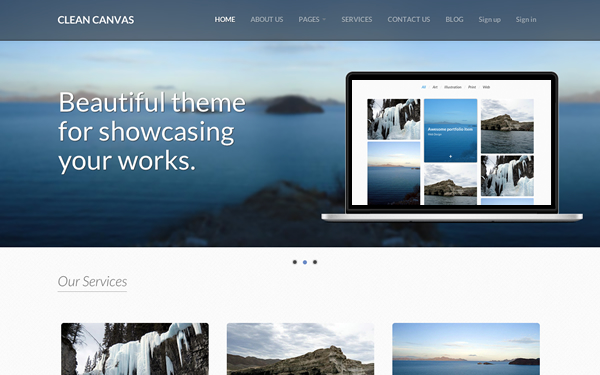 Many designs, portfolios and several skins are available with this theme. So whenever the look of the website provided to the customer needs to be changed, can be changed in no time. The framework on which this is built is Bootstrap 3. This article mainly focuses on the bootstrap3 theme review to know an overview of the theme. Code is based on HTML5 along with CSS3 which is very easy to maintain. The charts available with this theme are 3D charts which gives a detailed view of many parameters at a time. The features displayed on the website about the theme are enough to buy the product and make the best use of it. Priced at 9$, this is the best theme for best price. The theme has all the main options listed on the top of the page. Each and every option is so well placed that any user can easily access blog page if he/she wants, can access portfolio or features or contact information etc. One more beautiful option available with this theme is the contact number and e-mail id available on the home page of the theme. A testimonial page, a navigation page, a FAQ page are also available to make the user more comfortable while making use of the theme. The multipurpose options provided by this theme made it a wonderful theme. The theme also helps the user to set the bars related to blogs or portfolio according to his/her wish. If a user wants to have the bars at left side, he/she can have them on left side or of they want on right side, they can have it. The main and the best multipurpose template available on the website which can be searched at a position 7 in the list is the template called PIXMA. If one has to design websites, mainly for the customer, this theme is best useful. The purpose of designing the websites is very well served with this template. With a wide range of designs and skins that come along with this theme, this theme stood at the best for website creation. Customer wants to change the skin of the website just for a change, the developer can do within seconds the task of changing the skin and impress the customer thereby saving a considerable amount of time. For all this to happen so easily, Bootstrap3 is the frame works that is used. Any developer can modify or make use of the code very easily as it is very clean and a developer friendly code. Anything viewed under 3D gives more information than viewed in 2D. This theme made use of the 3D advantage and created the charts in 3D. It is really the best theme at such a low cost of 9$. Price is less and the features are more. When gone through the preview of the theme, top of the page is equipped with all the important tabs. Due to which the theme navigation is at its best. Blogging has become one of the most required task these days and many users take these blogs as the base to express their advantages or disadvantages they faced while using the theme. No need to dig through the template to get the contact mobile number or to mail the concerned people. All this important information is on the first page of the template. User may get lot of doubts while using the theme. For such users, a FAQ section is there where one can have his/her doubts cleared. The main reason why this template is developed is that the creators are not happy with the dark admin templates and hence they created this template which is light and transparent. Some admin templates have the contrast very high which the developers didn’t like and created this new template. They also wanted to get the widgets displayed as real ones and hence created this and priced at 18$. On the website, under a list of hundreds of templates, this template is at 24. This number is very much useful when people don’t remember the name of the template. The framework behind this wonderful theme is Great Bootstrap and the technology used is CSS. On the website an e-mail id is provided to report any bugs noticed in the theme or if any additional features are expected, a mail can be sent to the mail id. Other option of tweeting to the concerned person is also provided on the website. The preview of this awesome theme has some daily updates and some charts based on certain months of information in its first page. Users along with their picture are displayed and their comments are also displayed. It also displays the information of when the user logged in to the theme for the last time. Statistic information pertaining to the total traffic the theme is facing, how many visits that are Unique has happened; Total Revenue and the total sales are clearly mentioned on the theme. A search button is available on the theme to make best use of the search option by searching for users, user posts etc. Suppose a user posts something, the website also displays the time as when the post is done. So that one can know whether it is an updated post or it is an old post. A single page template built on Bootstrap 2.3.0 version is this theme whose look and feel is so wonderful that anyone loves to use it always. As it is a single page template, the scrolling options provided should be very smooth so that a user will happily use the template. This scrolling option to be smooth, this template provided the efficient scrolling making it more flexible to use. Pricing offers are available for this template. The layout is responsive, code is very clean, the background has the parallax effect, effects and transitions are awesome, and video is very responsive, documentation of the template is fully available; all these features made the theme stand ahead of most of the templates under bootstrap themes. The theme is very wonderfully designed. The color combination of the template is so good. The services offered are clearly mentioned on the theme. Easy navigation buttons are provided to buy the product or to know more about the product. Details about the team and their vision are also present on the template. The team also shared their experiences while developing this theme. The client information and whatever they have done the recent works are also listed on the template. The Google maps feature which is more responsive is one of the best advantages and other features are also showcased on the template. The tables for pricing of the theme are very well designed with attractive colors and easy buying options are provided with a single button. The logo designed for the template is very well highlighted on the theme. For any reasons to contact them, at the last of the page, when scrolled down to the last, one can find the contact information. One can also see the comments as what people say about the theme and the developers. As per the functionality, the name of the theme is very apt. More features, the more are the price. As the name indicates, this template is a Genius and its cost is 20$. So, before buying such a template, one should know the features and performance of the theme thoroughly. Bootstrap version 3.0.0 is the platform for this theme. This is the best theme under Bootstrap3 themes. 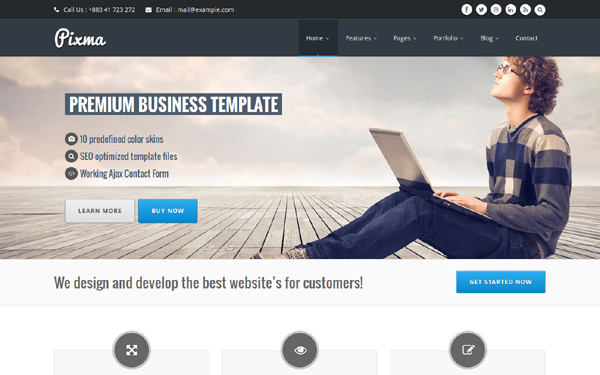 It is an excellent admin template with very high resolution and with great quality. Many pages like Invoice, Inbox, Profile, Register etc. are available and they are working on to give more features and more pages in further releases. The compatibility with many of the browsers makes this theme more advisable. A user can share the information of this theme through face book or twitter with this friends and recommend it. Before sharing the user should first use it, feel the comfort and then suggest to his/her friends to make their lives easy. On the theme, there is a drop down which filters the data to be displayed. If everything is selected, all the information is displayed. If comments are selected, only comments are displayed. If users are selected, only users are displayed. If messages are selected, only messages are displayed. On the Genius dashboard, statistic details about the Clients, deals, income etc are displayed along with the comments on the right hand side. The period for which these statistics are gathered is also shown on the page. One can also check the traffic in 24 hours or a week or a month by selecting the corresponding traffic filter. A user can register and login to his account and if any personal messages are there, the user can check under messages section. 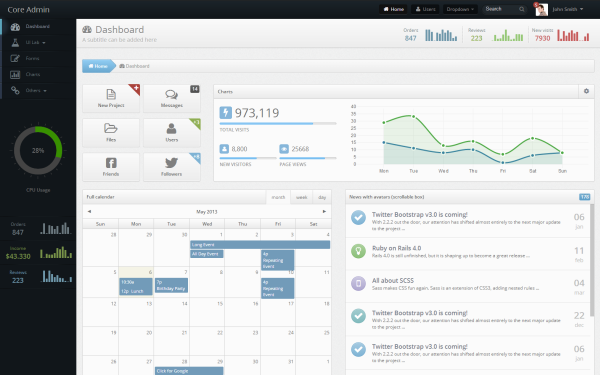 The dashboard also gathers information about how long the website is visited and tracked under average visit duration. A to do list as when an expected task has to be completed is provided at the end of the page. If any problems or issues are faced, they are also tracked under Recent section where the problem description, date on which the problem is faced, names of the users who faced the problem and whether the problem is rectified or not is recorded. A very nicely organized theme built on Bootstrap3 which works on all computer devices is the Core Admin theme. A page to sign up a new user and to login as an existing user is available. The layout is very stylish as well as very flexible. The font used is very excellent. Many other features listed on the website are the advantages of the theme and users may feel that 25$ is too much for this theme. But, after a user takes a preview of the theme and knows about all the features that come with this theme, he/she feels that it is worth. There are some browser limitations for this theme which can be checked on the website. Updates to the theme are released in versions and those details are also included in the website. 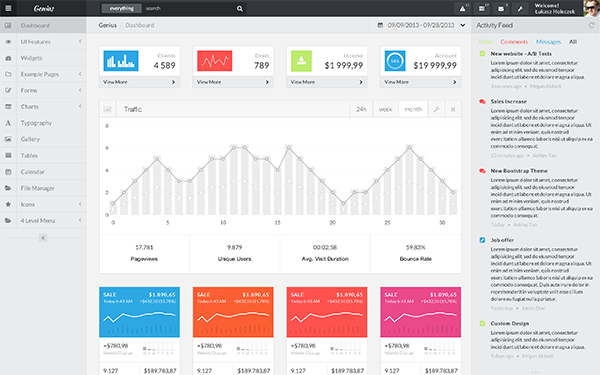 The theme has a one of its kind dashboard which is awesomely organized and arranged such that any user will feel happy at the maximum to use the theme. The list of orders, reviews and new visits on the dashboard are very neatly displayed. Other information about the new projects, messages, users, friends and followers is also there on the theme. The income through the orders and the number of orders are displayed on the left hand side of the theme. All these information is also displayed as charts for a clear view. News posted and the posting date is displayed as rows in a line very nicely. Comments can be added and the comments added are displayed at the end of the page. 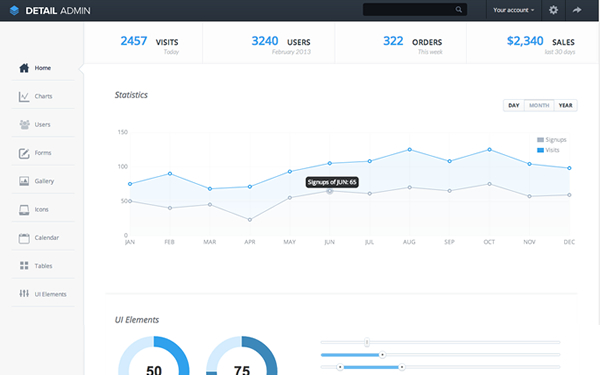 Other pages under Core Admin theme are UI Lab, Forms, Charts and Others. Depending on what to browse a user can go to the respective page and browse the data. User profile on this page is given more importance and the profile and user settings are displayed in the most organized fashion. Looking for a template which is responsive and which is a dashboard layout in 15 dollars? Then here is where your search stops. This bootstrap theme review answers all your questions. 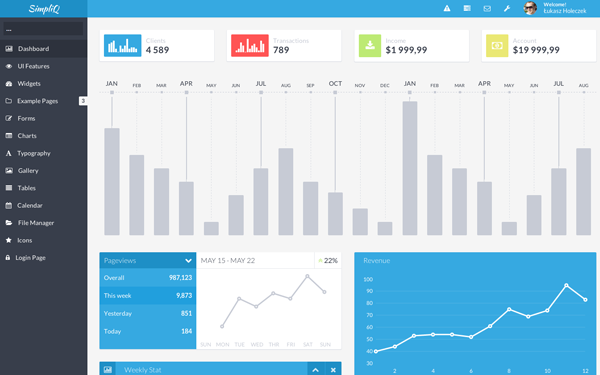 The SimpliQ Flat and Responsive admin template is the one which caters all your needs. It is the recommended and the best solution to create a layout of dashboard for your application. The framework used is Bootstrap 3.0.0, the most efficient framework. As the icons used on this theme are of good resolution, the theme came out very well after the design. All the main features which are expected for a good theme are available with this theme. This simple and elegant theme is the developer’s pride and can be used very effectively and efficiently. The display of information through charts is the major breakthrough of presenting the information these days. This theme uses the chart display for display of the client number, total transactions, income and account. The information depicted under charts is the information per month. If it is for a week, the dates from when to when is also given on the theme. A list of things to do in the near future can also be maintained through this theme and can check the status of them for better traceability. A user can post a comment and other users can share their views on the comment and a discussion can happen via comments. To post the comment, one should login through the login page available on the left hand side. The UI features page hosts the Sliders and Progress bars, lists that can be nested, widgets and other elements that fall under the user interface. One of the example pages is Infrastructure which has the information about the CPU temperature, active users, server load etc. This is the live information gathering page which has the current second information. Many themes mainly focus on the look and feel. But, to focus on the contents displayed and to make them more readable, this FlatPoint theme came up. It’s style is so simple and minimal but still it provides a solution for the business in modern age. The beauty of this theme is that it suits for any purpose websites, be it for a company or be it for a business or be it a portfolio etc. Not only on laptops, one can easily make it available on his/her handset whether it is a tablet or a smart phone. The main advantage in terms of Code is that maintenance of the code is very minimal and if a user wants to modify, this task is also very easy. The features that are main are listed on the website and the features that can come up in future are also listed to have a decision being made about the theme whether to buy it at 7$ now or after future releases. This theme under bootstrap themes is very spacious and the information is displayed in blocks which makes the data more readable. The data is no clumsy on the theme. To search for some information, a user need not dig through the whole theme to get it. A user can easily get to the information he is looking for. This is the initial release and no modifications after that happened and no versions are updated. Some more features are awaited and work is under progress to incorporate those features also. There is a contact form available on the website. If a user finds a bug and wants to report, the concerned person information is given at the bottom of the website and he/she can be contacted through the form and report the bugs/issues if any. Want your project to get started easily? Want it to happen quickly? Here is the solution. 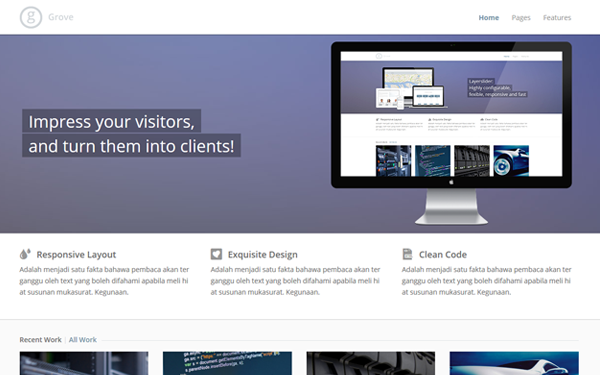 The base admin theme, the responsive and the best theme for projects. Bootstrap3 is supported by this theme. The layout is very much responsive, which aids the user to go ahead with its responses. Information can be displayed in various chart models like Flot Charts, Cirque charts etc. One can have his/her own page customized with various layouts available. This theme provides the option to register if a new user and then go ahead buying the theme at 16$. The price is so genuine that one can happily buy it and use it. On the website, it is placed at 106 number and its total purchases are also shown. After the initial version, modifications are done on the theme for better features and better performance and they are listed as versions. If any user wants to check about a particular feature, he/she can go through the website and check if that feature is available or not in the theme and select the required theme according to their requirement. The shortcuts shown on the theme is the best feature of this theme. These shortcuts help the user to navigate through the required sections within seconds. Shortcuts are designed for sections like Apps, Bookmarks, Reports, Comments, Users, Notes, Photos and tags. The statistics displayed through Cirque charts are also wonderful. The site visits are very well tracked under categories Site Visits, Unique Visits and new visits. Any news that is recent is also posted on the theme. Sample pages and extra pages are also provided on the theme. Components available with the theme can be seen by clicking on the Components link just beside the Home button. Settings of the theme can be modified by using the Settings button on the top right of the theme. One of the colorful themes available at 18$ is the Flatty Flat Administration Template. Lot of colors on the theme makes it more interesting for the developer look and feel wise as well as differentiation wise. If your application has difficult things, make them more easy by using this theme. It used the flat design because of which this theme is a trend setter. Twitter bootstrap3 themes which are the popular one is the base for this theme. Don’t know how to use this theme? Don’t worry. The theme comes along with the document which has all the in and out of the theme and also about how to use it and all related information. Invoice pages, user profile pages, sign in pages and FAQ pages are some of the pages that are available as examples. These can be directly used to design a website. No need to code for these pages separately. The author has clearly given his mail id to answer your questions and make you more comfortable with the theme. For users who has an interest about what more can they expect on this theme in future, a section to show the updates that can happen in future is there on the website. Once a user logs in into the theme, they have layouts for dashboard, forms etc. Some interesting features like Magic and Show can also be equipped on the dashboard to make the things more interesting. For example, information on the orders is given in words and the same is displayed through charts also. The dashboard layout can be customized according to the user’s wish. Features that come along with the theme are elegantly listed on the left hand side. Make use of all the features to make better use of the theme that is bought at a very economical price. Generally themes with four pages or five pages or a single page will be there. 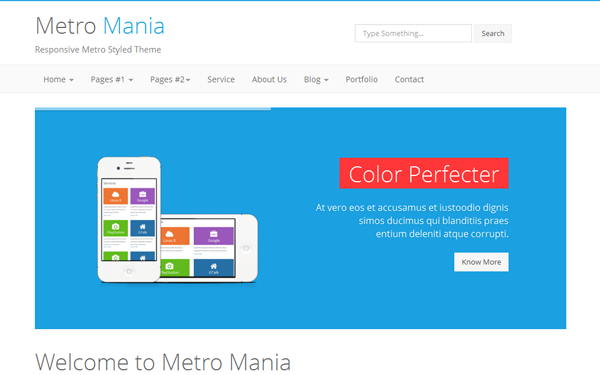 But, the theme with over 60 pages is the Metro Mania theme. This is awesome!!! So many pages at just 4$!! Isn’t it great? This is the offer provided by the website. Many websites work for their profit only. But this website is providing the themes at a very competitive price and hence it stood among the best in online buying of the themes. The website not only featuring the highlights of the theme but also concentrating on the versions, updates happening for every release and the layout of the theme and what not. Users are very lucky to come across such a website and they should feel privileged to buy their desired theme through such a good website. 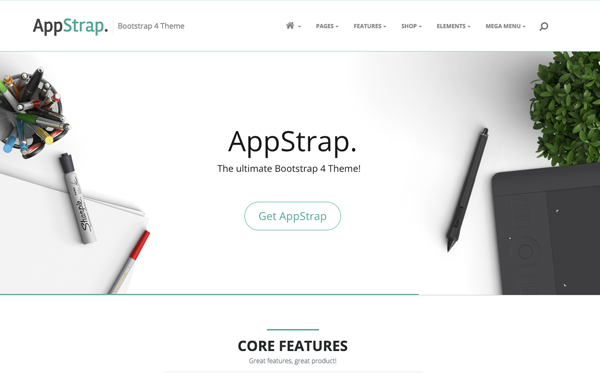 Go through the bootstrap theme review below to get better understanding of the theme. The theme can be changed into six various colors as and when required. The boxes colored are so nice. Want to register? Go to the register page and complete the formalities to enter into a new world and explore. As can be seen the statistics on the website, this must be the most sold theme. The entire criterions that are needed for a theme to become the most selling theme are there for this one. This is a gem of a theme. It can be used for business purposes, for project purposes and for individual purposes also. 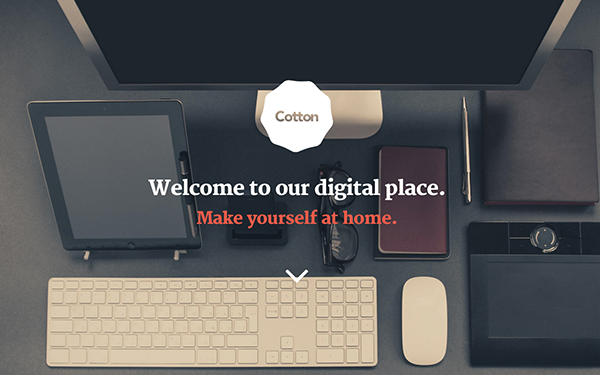 Versatile layouts and versatile features made this theme a beautiful and recommended one. 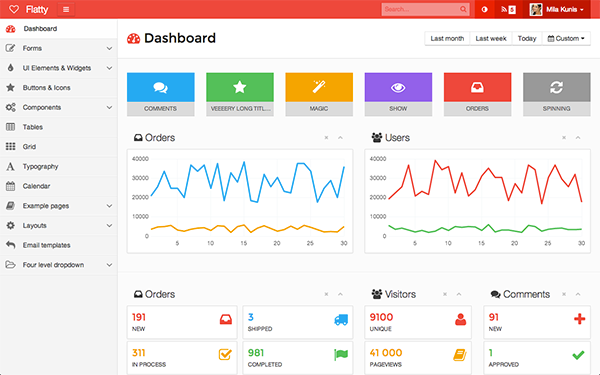 This theme can be used on Admin Side, as a front end theme and also can be used in the area of E-commerce. The colors are given as boxes on the theme, so when a user clicks on the desired color the theme changes it color and can be best viewed in the favorite color. This can be judged as the best theme. 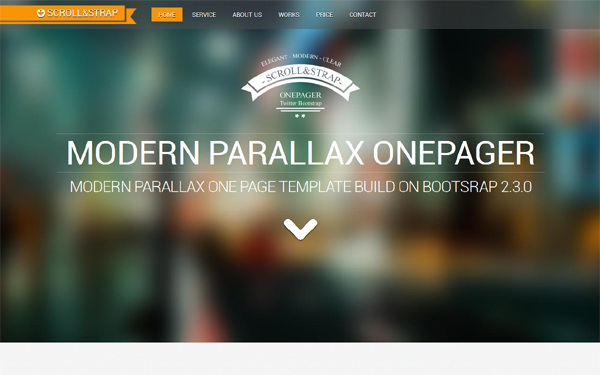 This is a single page theme which used the well-known framework Bootstrap3. It doesn’t have many pages, it has a single page template and it available to most of the mobiles. The theme has six areas through which one can scroll to have a complete idea of the theme. They used some plugins that are awesome and some very good icons to make it so wonderful. This website is giving chance to new comers also as this is the first theme for the creator of this theme. One should be given a chance to excel and any people are waiting for that single chance to prove themselves. This website acts as a mediator between the persons who sell the themes and the users who buy them. Being in between, the website should be highly efficient so that the buyers and sellers both will be happy. Coming to the theme, it has all the services that it provides to the users. Section like portfolio pertains to the users. Social section concentrates mainly on the social networks and their related posts. Contact section is about the contact information of the developer of the theme. A user can raise his/her concerns or he/she can post their appreciations through the contact details under this section. Studio is another section where a user can find the required information. Team section has all the details of the theme that worked hard for giving the world such a wonderful theme. Hard work never goes waste. Today the team is visible to the whole world for creating such a nice theme. Even though it is a single page template, they have created it so well that they concentrated on the scrolling and made it more easy to use and interesting to use. Business areas like photography, digital agencies take out the advantage from this theme. Looking for a theme which saves your time for the project you are taking up next? Buy Genyx at 18$ and get your work done. Wondering on what framework is this designed? Yes, the famous Twitter Bootstrap. The response from this theme is great. This theme is tested on almost all the mobile devices. This is on the top of the list under Bootstrap themes. It is also tested on High definition monitors. Even though it is tested so vigorously, if any bug is found, the user is at a freedom to report the same. Various chart styles like donut, pie, lines, circles etc. are integrated to the theme. While selecting information also, user has the advantage of selecting using filter, selecting using some search fields or can select simply. Elements can be validated to a maximum extent on their attributes. This theme is wonderfully designed to suit the user needs by saving lot of time to do a project. As soon as you click on the preview, it directly asks for login. If you are not a user already, register through the register button provided. If a user registered already and forgot his/her password, there is a link to reset the password and login with the new password. As this theme deals with the Admin data, this level of security is required and this should be recommended to all Admin templates. Only after login the corresponding information should be shown. If a user doesn’t want to create an account, they have an option to directly connect through their face book account or twitter account. Two buttons representing face book login and twitter login are also provided on the login page itself. Tables provided with this theme are very much responsive. Lot of buttons ranging from small buttons to big buttons and buttons that perform certain functions like status change, different actions are used in this theme.